Today we want to show you one of the most spectacular phenomena Nature has to offer: the pink lakes. Pink lakes, aren’t they beautiful? They can be found all over the world and are a favorite of landscape and nature photographers due to the truly vivid and unbelievable pink tones their waters can assume. 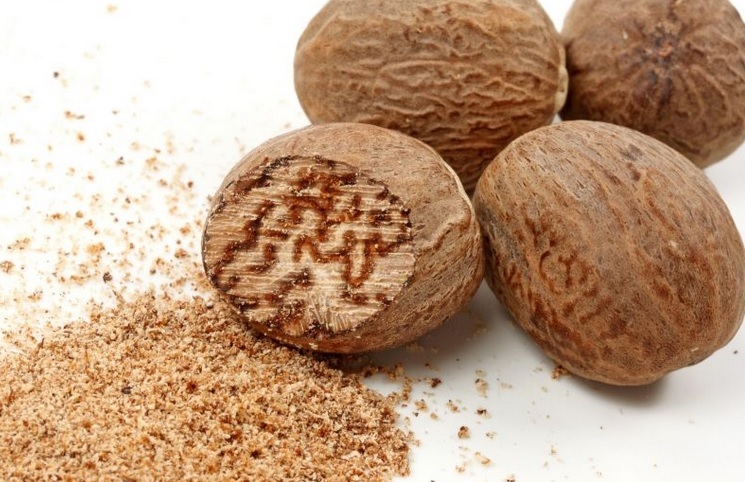 Their pigmentation is generally due to the presence of micro-algae, such as Dunaliella Salina, that produce high concentrations of carotenoids, a type of natural pigment found for example in many vegetables. 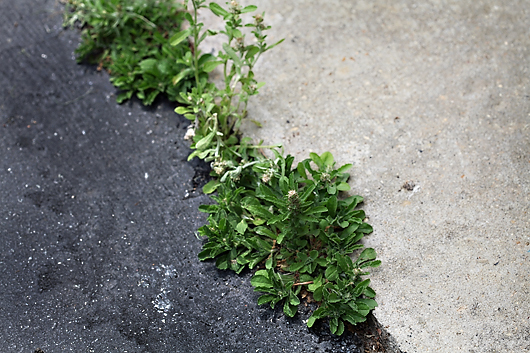 These algae can survive in environments with extremely high concentrations of salt and in fact the pink lakes are often found near large saline seeps, even if not exclusively. 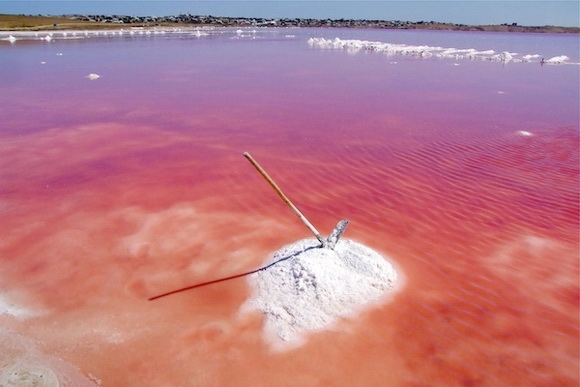 Although spread worldwide, some of the most beautiful pink lakes are concentrated in Western Australia. 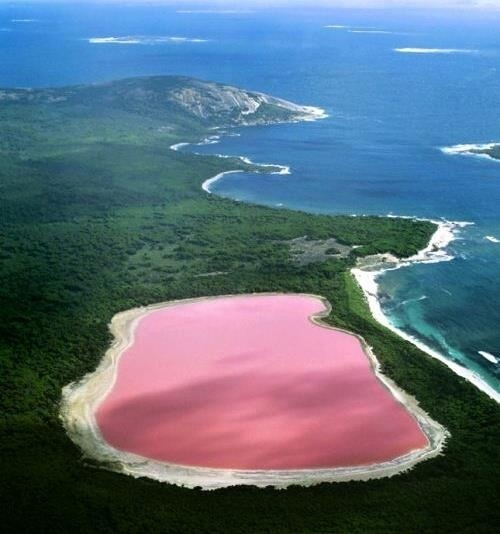 Among them is the Pink Lake, which is located in one of the most beautiful coastal landscapes of Australia, a short distance from the town of Esperance in an area of exceptional biological value. And located on the main island of the Recherche Archipelago is Lake Hillier, perhaps most famous of them all, thanks to the striking contrast between the hot pink of the water, the rich, dark green vegetation that surrounds it and the blue of the nearby ocean. 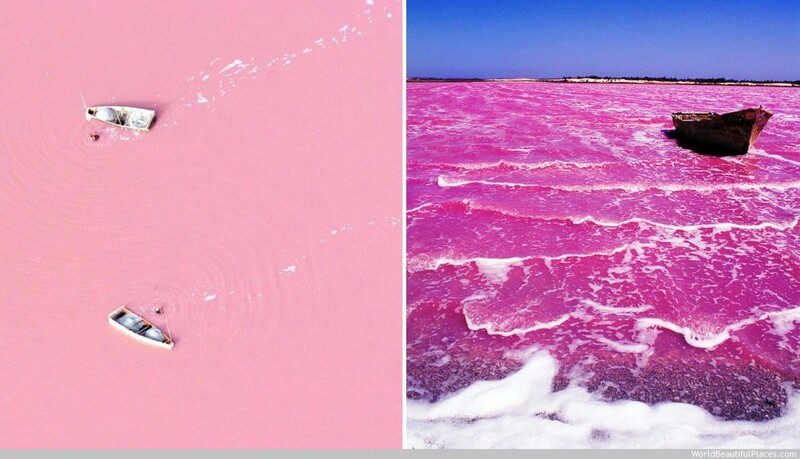 Lake Retba in Senegal, West Africa, another beautiful pink lake, owes its colour to the presence of high concentrations (385gm/l) of “Desulfohalobium retbaense” a halophilic (salt-loving) bacterium. In south-eastern Spain, in the Alicante area, two salt seeps, the Salina de Torrevieja and La Mata de La Salina, are the largest salt lakes in Europe. Here the commercial exploitation of the lakes to extract salt has been replaced by tourism. 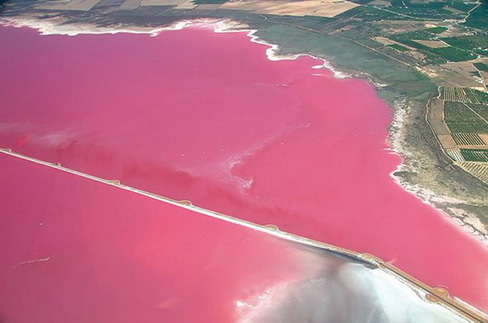 Lake Masazir (or Masazirgol), overlooking the Caspian Sea, is another pink lake located not far from the Qaradağ district of Baku, the capital of Azerbaijan. 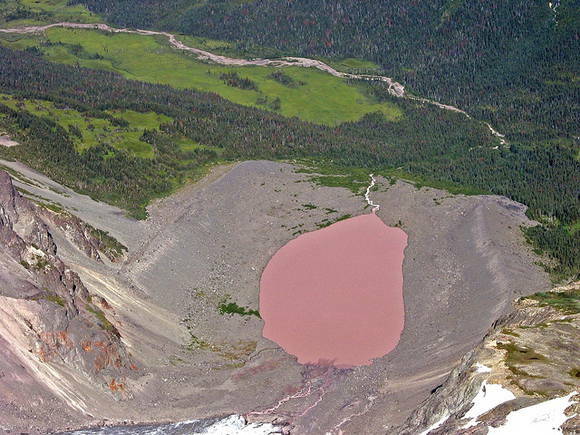 The Dusty Rose Lake in British Columbia, Canada, has a different story: the pink color comes from the surrounding pink-purplish rocks which, during the warm season, are carried as particles by the melting glaciers directly into the lake. Finally in Italy we find the “Saline di Cervia” where the extraction of salt, which started even before the Romans, survives today alongside a natural park of exceptional beauty and in Sardinia we should mention the “Molentargius Saline” where the vast expanses of pink are not actually due to the water but to another peculiar, seasonal gift from Nature: the invasion of thousands of pink flamingos that meet here to nest. The amazing colors of Wineglass Bay, Australia.